I have to record a podcast about TWISTED today. This is a new thing for me. What should I include? Should I just read a couple of excerpts from the book? More? Do you listen to podcasts? Why? What do you want to hear? 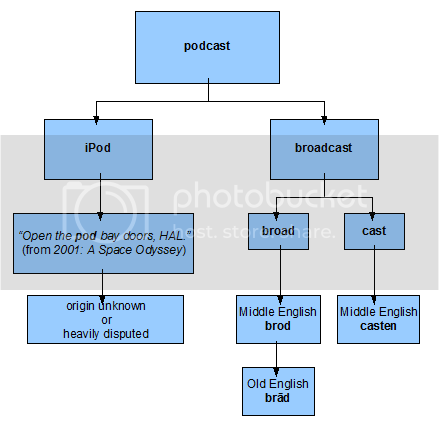 Where does the word podcast come from, anyway? We have a new washing machine. It came with one hundred buttons, a graduate degree, and an attitude. I am intimidated. It took me a month to master the coffee pot. But I don’t have a month to develop a relationship with Mr. Whirlpool Fancy-Pants High-Efficiency Kiss-My-Buttons-and-Grovel Washing Machine. I have a lot of clothes that need to be washed because the plane leaves on Tuesday. I am tempted to go to the laundromat or beat the clothes against a rock in the river, but I’m afraid if I don’t confront the snooty appliance today, it will mock me every time I walk past it. Don’t you hate it when machines sneer? Georgetown won. North Carolina won. Ohio almost didn’t win and Pitt had a scare. Yesterday’s tournament was rocking with overtimes and close games. Gotta love it. Check your pet food today! Thanks to everyone for their kind comments about my mother, the rebel without a cause. She read through all your comments and loved them. Now she is telling everyone in town that she’s famous because she’s on the Internet. Yesterday she promised she wouldn’t die or get sick when I’m on the book tour. You are my witness. my suggestion for the podcast would be to describe your writing process and how you came up with the idea for twisted. Yeah, I listen to podcasts (name comes from ipods, maybe?). I like to download them to my mp3 player to listen to on my commute to work. I am a big nerd and love Pottercast right now. Definitely read us an excerpt. I’d also be interested in knowing what the early feedback has been like. Did anything particularly touch or surprise you by people’s reactions? I hope you have fun! I put your May 11th Moravian Book Shop appearance on my calendar. Looking forward to it. I’ve only listened to a few podcasts, and those were all Harry Potter theorizing… But I think generally they can be anything you want. Some professors even put their lectures or additional notes on iTunes as podcasts now. I think it would be neat to hear you read some excerpts and talk about your MC – I’m big on characterization, so I’d love to hear about how you work with your characters. Anything about writing process and the book would be good, though! Are you going to post a link here or on your webpage so we can get to it when it’s ready? Podcasts come from iPods – they’re like radio broadcasts, but available on iTunes for use with iPods (but they can be listened to on iTunes even without an iPod). I also hate it when machines sneer – I have a boyfriend who insists on changing how all the computers in the house work every three days (an exaggeration, but still!) and they mock me when I can’t use them until he comes home. Good luck with your laundry! I listen to podcasts often (a lot of author podcasts at that), while I exercise, while I cook, while my hands are busy but not my brain, etc. Think of it as a presentation you’re giving to students or writers or whomever. Any angle will work: where the idea came from, troubles you experienced in the writing, what the story means to you and what you hope it will achieve, etc. Of course, if there’s a specific audience you’re trying to reach, you can tailor it to them. Or you can read from the book. The Tattered Cover bookstore in CO tapes their author presentations and offers them online as podcasts. HarperCollins offered podcasts of readings from several of their girls’ teen fiction authors last summer. I love podcasts! Let us know when yours is available. Podcasts are audio files that can be put on the Internet for interested listeners to download. Apple’s iTunes has a very nice listing of podcasts that you can subscribe to and update to your iPod. What to put on a podcast? Podcasts are a great way of listening to information that you don’t have time to listen to. Lots of people listen to them while exercising, working, doing other things. So, when you think about how the podcast might be used by the listener maybe you would talk about why you wrote the book, how you did research in preparation for the book, where the characters came from, what the writing process was like for you. Your book is coming out just in time to make it a birthday gift for a certain young lady in our family. Good luck on your tour! i, too, am a podcast fan, and i think the word is a combination of ipod and broadcast. wikipedia has a pretty good article about the notion of podcasting. perhaps it would be fun if you were to read an excerpt or two, and then discuss your writing process for those particular parts of the book. my parents just got one of those new washing machines, too, and it frightened my mom for a good week or so. now i think she just gets a kick out of watching the clothes slosh around and exclaiming, “look at how little water it uses! and the clothes are still clean!” oh, technology. I listen to MuggleCast (Harry Potter theory podcast). I would suggest reading an excerpt from your book, and then just discussing the main plot, the characters, thoughts you had while writing it, inspiration for writing, maybe? You could include some advice for young writers. Things like that. Whatever you do just speak from your heart, because that’s what you use when you write all your books. Hey, Laurie. I’ve been trying to contact you about an interview at the YA Authors Cafe. If you’re interested in participating or would like more info, please drop me a line at selimsa803 AT verizon DOT net. podcast and have a safe trip! I picked her up a copy of TWISTED at the Southern California Booksellers Dinner because she’s read EVERYTHING by you (and says, “No offense, Mom, but I LOVE HER BOOKS. How does she do it???) I love that Lucy loves your books…She hasn’t put it down. She’s a tough critic – reads only exactly what she wants – never feels compelled to finish a book if she doesn’t like it. Anyway, have a great tour, Laurie! Congratulations!! Just got to post the quotes I’d marked from “Twisted” about half a year ago, yay! No earthly idea about podcasts. I only occassionally listen to them, if they’re something special. So I’d totally listen to yours. 😀 I’d suggest lots of reading and I guess background stuff, like what inspired you to write the story. Glad your mom is still doing well! Can’t wait to get my hands on TWISTED! I’m going to try and make it last – not read it all at once. Your post about appliances made me flash back to Woody Allen’s old stand-up routine about his appliances turning against him. He gathers them all in the living room for a meeting because they’re all so troublesome, but ends up kicking the TV. The next day he’s in an elevator and it stops between floors and says in an intimidating voice, “Are you the guy that kicked the TV?” It’s hilarious!! !